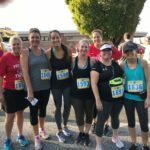 Lititz recCenter and recROC host a variety of community events throughout the year to motivate Members with a competitive spirit and engage community members from in and around our region. 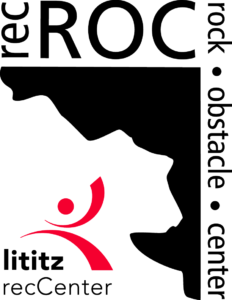 Proceeds from events, races, and competitions benefit Lititz recCenter and recROC programs. Sponsorship opportunities exist at many levels, and contributions toward events are greatly appreciated! Boulder Bash | click here to view results! Create your foursome! Spend the day with one of your favorite organizations out on the green and enjoy a meal to benefit youth programs at Lititz recCenter. Groups of 2-4 please or interested sponsors contact TracieAndrew@lititzrec.com or ext. 231! 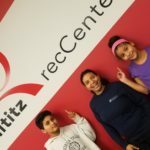 A celebration of giving to the Lititz recCenter Endowment Fund, advancing our mission and goals beyond 75 years of recreational service for our community. Donors by invitation. For more information, contact JenniferHenry@lititzrec.com, or KarenMailen@lititzrec.com. A true triathlon challenge for participants and teams, ages 12+. 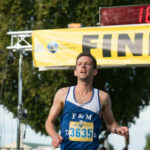 Swim, bike, run – all finishers are winners! Sponsorship opportunities – contact SimonAbabou@lititzrec.com. Click here for day of event information. 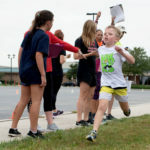 A great family event, our Pretzel Twist is a tradition among seasoned runners and a new challenge for first-time-5K-ers. Create a team, motivate and train together, and celebrate your finish in the Pretzel Twist. Questions, contact RonStief@lititzrec.com. Be a triathlete for a day, “tri” a triathlon! For ages 8 – 15, this annual event offers modified swim, bike, run events by age group to give kids a taste of a true challenge! Lots of first-timers, lots of repeats moving up to new age brackets. A fun family event! Sponsorship options – contact SimonAbabou@lititzrec.com. Looking to host your own special event, competition, or party at Lititz recCenter? Explore options here or contact our Facility Rental staff party@lititzrec.com to request a reservation!